Family hamster Fluffy escapes cage, extending his long weekend vacation. Cindy Browning was sleeping in her hotel room in High Level, Alberta, last Sunday night when she saw something run across the top of the radiator. Cindy woke up her husband, Brad Browning, to turn on the lights and search for what she thought was a mouse. They found no rodent and Brad went back to bed. But Cindy said she couldn’t sleep. Lying awake with eyes peeled for the mouse, she spotted it again. “We shoo it out of the room,” she said, and then they took a good look. They then watched the tiny black, white and brown animal run down the hallway. Meanwhile, Brad and Cindy’s neighbours from back home in Fort Simpson, N.W.T., had returned from High Level just one day earlier, but they were one passenger short — Fluffy, their pet hamster. Christine Tsetso said they normally wouldn’t bring the hamster on vacation with them, but their daughter insisted. “Amelia had been begging us to let her bring him,” said Christine. While packing up their car to drive home on Sunday morning, Amelia told Christine the hamster wasn’t in his cage. “We tore the room apart, moved all the furniture,” said Christine. She thought maybe he’d gotten underneath the door to the hallway and into another room, or perhaps into the wall. Christine said they searched the room for as long as they could but eventually they had to hit the road. They let the hotel staff know and left. 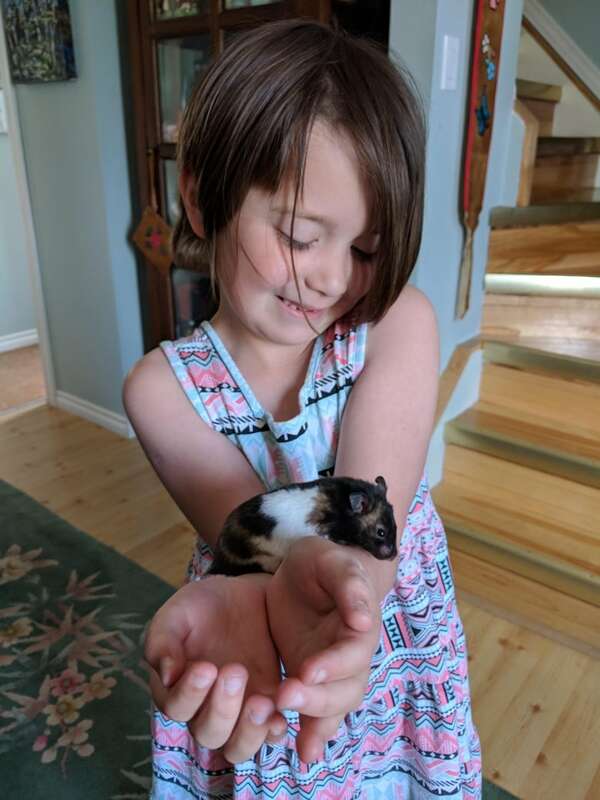 “Amelia was heartbroken of course,” said Christine, who said her daughter began imagining Fluffy meeting other lost hamsters and living a good life in High Level. 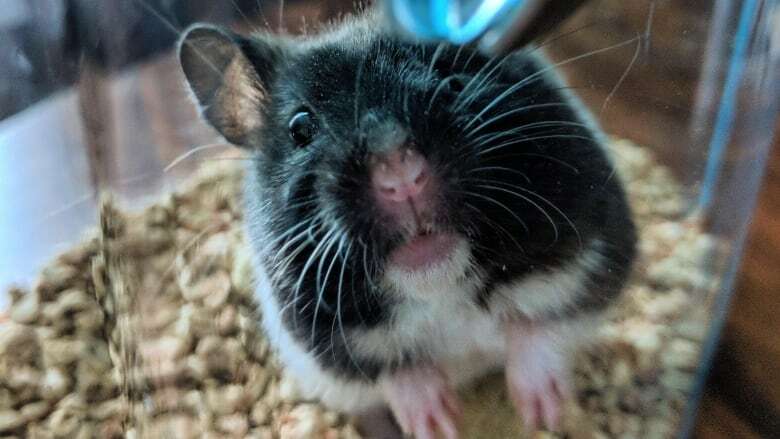 Back in High Level, Cindy Browning posted her encounter with the hamster on Facebook, along with a photo of the little critter. Shortly after, a friend reached out to tell Cindy that it might belong to a family who also lives in Fort Simpson. Brad got dressed and left their hotel room to search for Fluffy. “Sure enough, a couple [of] doors down there’s a little hamster outside huddled in another doorway,” said Cindy. Turns out, the couple had been staying in the same room as the Tsetso​s when they lost the hamster. 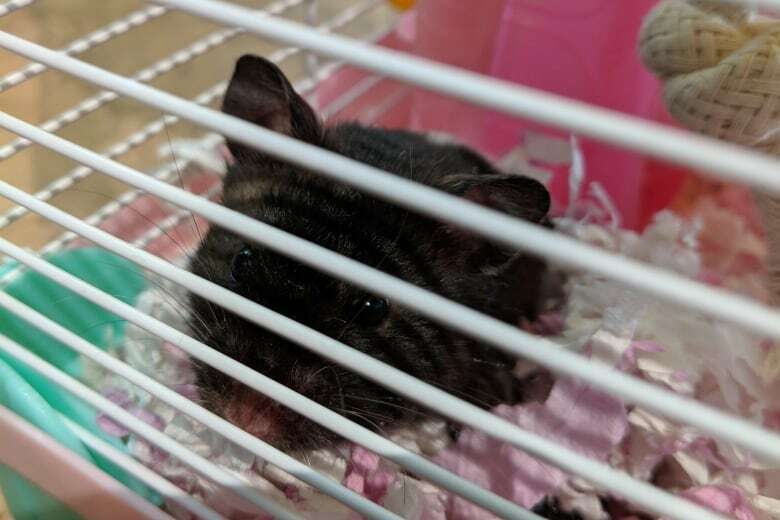 So Cindy and Brad brought the hamster home. Amelia was in the bath when Cindy and Brad dropped off her little friend. Amelia’s mom says she let Fluffy creep across the doorway to the bathroom, and Amelia screamed when she noticed him. “He is home and he’s secure in his cage and seems happy to have his regular supply of food,” said Christine.